· I applied my oil mix (coconut, olive and tea tree oil) to my scalp and the length of my hair then detangled my hair in four sections. Detangling to start off my wash day and washing my hair in sections is something I am trying out, it should help reduce tangles, especially when I am deep in my stretch. 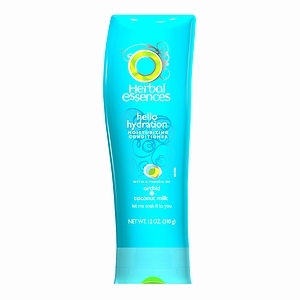 · I then applied Herbal Essence Hello Hydration conditioner and watch TV for about an hour. 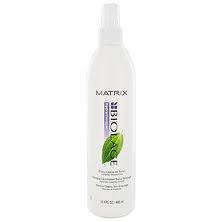 · Shampooed twice using Creme of Nature Detangling Conditioning Shampoo. 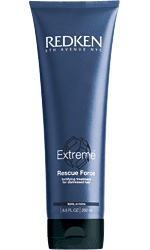 · I saw a little breakage when detangling so I used a light protein treatment, Aphogee 2 Minute Reconstructor mixed with Redken Extreme rescue force for about 30 minutes. The Aphogee is almost done and I was not in the mood to cut the bottle, that’s why I mixed the two. 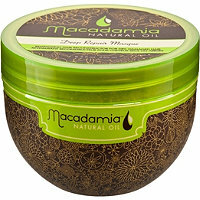 · My deep conditioner of choice this week is one that’s near and dear to my heart, Macadamia Deep Repair Masque. 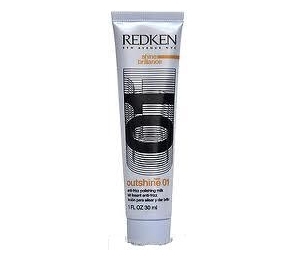 Ladies this deep conditioner is the boom! It is amazing!! As a matter of fact, amazing does not begin to describe it. This is another product that I have used since the beginning of my hair journey and its here to stay! · I had errands to run so I basically deep conditioned for a few hours plus I sat under the steamer when I got back home. 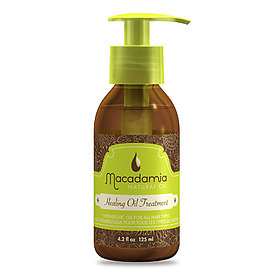 · After applying the Redken anti-frizz polishing milk I applied some Macadamia Healing Oil Treatment and detangled. I didn’t lose much hair after detangling so detangling at the start of my wash day helped a lot; I’m hoping it stays that way later on in my relaxer stretch. · Once my hair finished air drying I placed it in a bun and went to bed. My wash days almost always end in a bun, mostly because it’s done so late. I turn down and/or cut open all my bottles, with the money I spend I want every last drop of product lol. Does anyone else do this? The amount of product that remains in some of these bottles is amazing! Hi Danielle, the Creme of Nature shampoo I buy comes in a green bottle with a yellow cover but it's exactly the one pictured above, I get it at Pennywise. I just hang my bottles upside down and give 'em multiple shakes.lol. I couldn't be bothered to cut them open. I even add a lil water to get it out sometimes. Nice post! I know I should have more pics of my hair but I usually remember to take pics when it's too late,it also doesn't help that I hate taking them. Getting in the habit of taking pictures is something I'm working on. Cut those baby open! You would be amazed at the amount of product you still have left. where did you buy the aphogee reconstructor, in trinidad? If so, what was the name of the store? 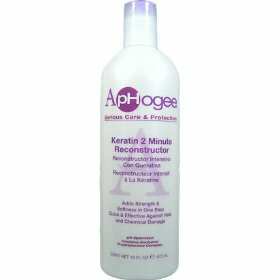 I bought the Aphogee reconstructor online at Sally 's beauty supply. Hair City on lower Henry St. carries most Aphogee products but they go REALLY quickly..